Sydney nurse Catherine Salmon has taken bullets out of patients' chests in hostile war zones and treated refugees fleeing Syria, but says it's the people she helps, not her, who are amazing. 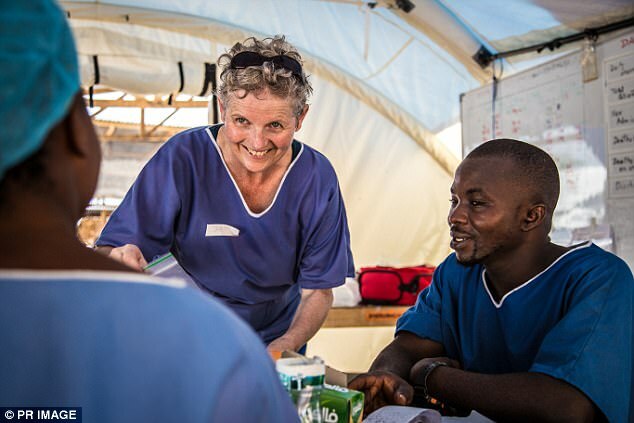 After working across Africa and the Middle East over 13 years, Ms Salmon is one of five Australian Red Cross nurses to be awarded the world's highest nursing honour, the Florence Nightingale Medal. Named after the founder of modern nursing, the medal is awarded for exceptional courage and devotion to victims of war or natural disaster. Ms Salmon finds it hard to understand why people say she does amazing things. 'It's really funny what people say that ... but there's just so many other people out there doing the same thing that I don't feel like I'm really any different,' Ms Salmon, now back in Sydney, told AAP. Between 2003 and 2016, she worked across Sudan, Gaza, Afghanistan, Jordan, Yemen, South Sudan and Somalia as a surgical and head nurse providing critical care in some of the world's toughest armed conflicts. Her first Red Cross posting was in Juba, in what is now South Sudan, where the only source of news came via a taxi driver who drove around announcing what he'd heard on the radio. 'The people in these places have lived under such hard conditions for so long that they're tough, they're resilient and amazing,' Ms Salmon said. 'If they get a new pair of crutches, they walk out and look like they've just won the lottery. 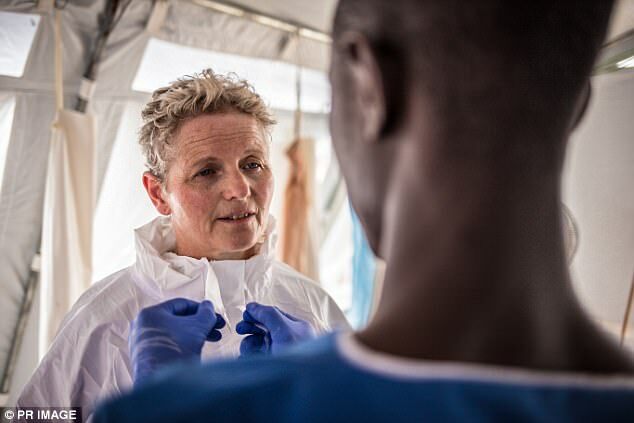 Ms Carey (pictured) helped in the Red Cross response to contain Ebola in Sierra Leone as well as working in a refugee camp on the Sudan/Kenya border. 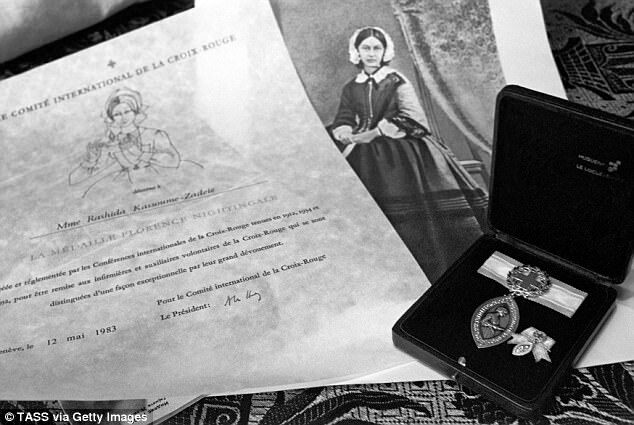 Almost 40 women from 22 countries have received the Florence Nightingale Medal. The other Australian recipients are Brisbane nurses Ruth Jebb, Barbara McMaster, and WA-based Catherine Fry and Anne Carey. 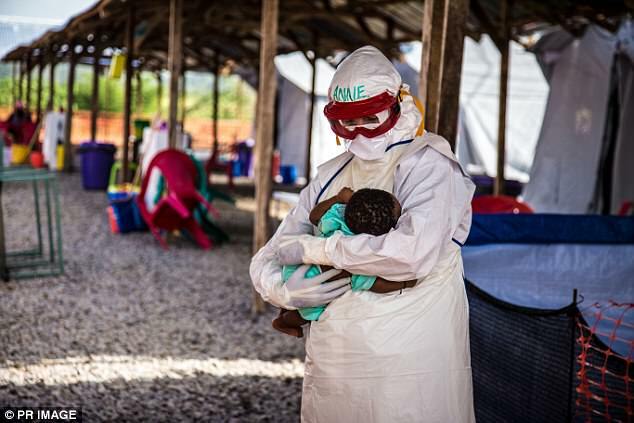 'From South Sudan to Afghanistan, Yemen to Sierra Leone, they have helped children survive horrific injuries caused by weapons, cared for patients suffering with Ebola and saved lives with education on hygiene and disease prevention,' said Peter Walton, Director, International at Australian Red Cross. Along with Ms Salmon, Ms McMaster also provided critical surgical care in Afghanistan, Sudan and Yemen, while Ms Carey helped in the Red Cross response to contain Ebola in Sierra Leone as well as working in a refugee camp on the Sudan/Kenya border. 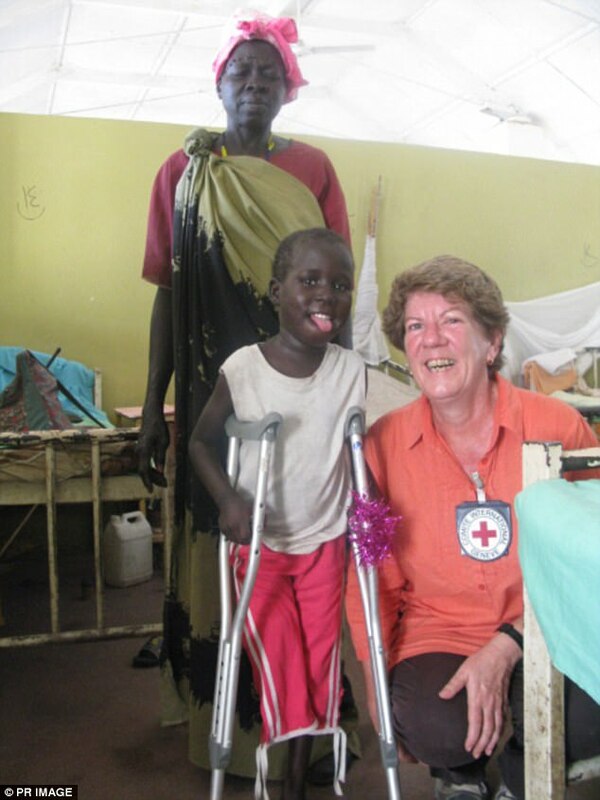 Ms Fry coordinated the delivery of health care for children and mothers in Sudan where Ms Jebb coordinated a feeding clinic for thousands of malnourished children as well as midwifery and intensive care in Cambodia and Chad.